Mohammed Benaziza (1959 in Algeria – 4 October 1992, Netherlands) was a professional bodybuilder. Mohammed Benaziza was a soccer player in his childhood in France and he started to work out, and in the same time play soccer. He finally chose Bodybuilding and then he started competing as an amateur in France. Then he won his first competition in Spain (under 75 kg-category) and after that he continued to win small prices until his first participation in The Night of Champions in 1990, which he won. On that occasion, he was nicknamed the KILLER OF GIANTS by JOE WEIDER ; Dorian Yates took second place on that occasion. 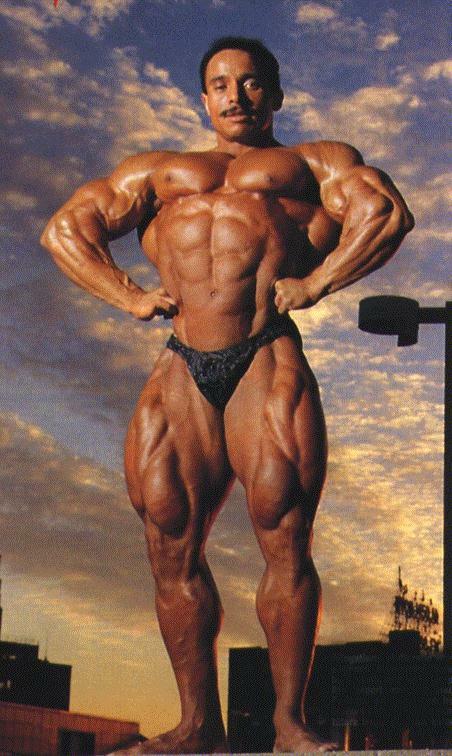 He continued his life like every bodybuilder in the world, like every year he participated in the famous Mr. Olympia championships and his last competition was the 1992 Mr. Olympia, where he placed 5th. He did not take time off after the 1992 Mr. Olympia and he participated in a back-to-back competition in the Netherlands ; he was found dead in his hotel room at 6 PM on October 4, 1992, shortly after that competition. It is reported that he had earlier complained of sickness and shortness of breath, but refused several times to go to a hospital. It is believed that the cause of his death is that he took an injection provided by an unidentified man to accelerate the process of his preparation shortly before the competition. His death led to the end of the career of his personal friend Steve Brisbois. He was 33 years old and he was the star-spin of the new generation of BodyBuilders.